Just last week, a friend of mine stopped by and brought over some chocolate milk for my daughter (he works for Nestle). I’ve never offered Anna chocolate milk, as she is a huge fan of regular. Then, the next time I read the news, I found that chocolate milk may be on the chopping block at schools. This led to the National Dairy Council’s campaign, Raise Your Hand to Chocolate Milk. I think I forgot chocolate milk existed until now. Activists for the ban say that kids are already getting too much sugar and chocolate milk only adds to their sugar intake. 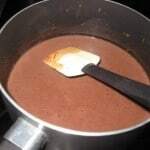 Chef Ann Cooper, the “Renegade Lunch Lady,” announced that the extra 60 calories in chocolate milk can add up to 5 pounds in one 180-day school year. Most in this camp believe that if chocolate milk isn’t available, children will choose to drink regular milk or other calcium-rich foods. Health professionals for chocolate milk in schools say that the extra sugar calories are worth the essential nutrients kids receive including calcium, vitamin D and potassium (nutrients of public health significance) along with 6 other essential nutrients. They contend that some children just won’t drink milk if it’s not sweetened. And according to a recent report from the American Heart Association, there is no link between flavored milk and higher weights in children. When I pull out the fat-free chocolate milk from Nesquik, I see that it has 60 extra calories and 16 grams of additional sugar (about 3 teaspoons). I’m not against sugar being used to enhance the taste of certain foods. I add some brown sugar to my oatmeal and buy cereals that are sweetened but also contain whole grains and fiber. But I’m always looking for products that hit the “sweet spot” of taste with the least amount of sugar. After searching this topic online, I found most parents want to keep chocolate milk in schools. What’s your take on it? For those of you receiving this post via email or RSS, if you click through you can leave a comment. I have added a box that allows you to be emailed with new comments. Try it out! 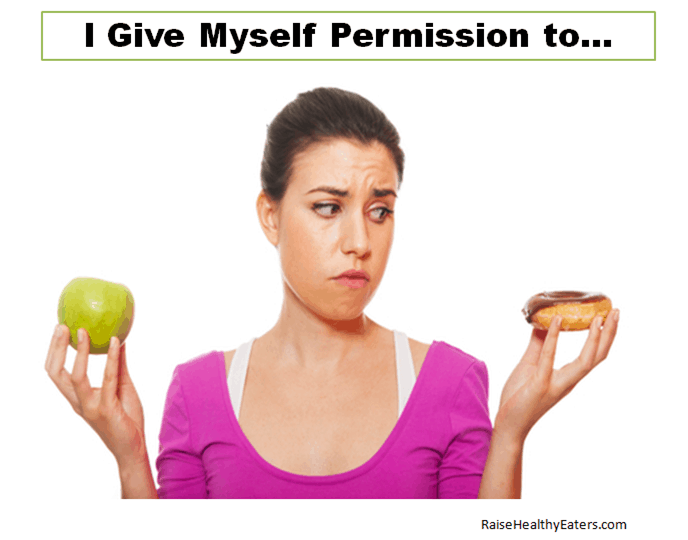 In my personal opinion, cutting out entire foods or food groups is always a bad idea. Banning chocolate milk from schools only perpetuates the “diet” mentality that our society feeds into. I’m sure that there are much worse offenders in the school cafeteria. How about banning the mystery meat burgers and processed cheese food sandwiches? My son will not drink white milk but he will drink chocolate milk. His twin sister loves white milk and drinks tons of it. When I make my son’s chocolate milk at home I put the least amount of syrup I can get away with while still making it chocolate. The chocolate milk that comes in the single serve containers or pre-made at the grocery store is very dark compared to what I make at home. I wish “they” (the makers of chocolate milk) would reduce the amount of syrup. That way we all win. Less sugar but still chocolate for the kids that won’t drink white. The only way I got my son to drink milk was to add a small amount of chocolate to it (less than a teaspoon). Now it’s his favorite beverage. Commercial chocolate milk contains entirely too much sugar/chocolate. Kids could probably do just fine with 1/3 of the sugar that’s currently in their chocolate milk. I’m very much in favor of keeping chocolate milk in schools…but perhaps we could work on the recipe? As I wrote in last week’s Five for Fridays, I think it is a practical solution to a common problem. If at all possible, maybe the chocolate milk can be formulated with less sugar. Chocolate milk is not the problem, and cutting it will not necessarily solve our obesity nightmare. Thinking of “recipes” – I wonder if the package could be designed in a way that kids could “dial in” the amount of syrup from a smaller second package while the main package contained plain milk. They could limit the maximum amount of syrup in the second package. Of course, the risk is that kids may just eat the syrup and not drink the milk, but then you would know for sure what they are after! We try to keep the junk food supply to a minimum at my house. Otherwise, I would be the one eating it all. Personally, I wouldn’t mind if choices were limited in order to encourage lower sugar consumption. But I agree that attacking one food is a waste of energy. My kid’s school offers strawberry milk as well as chocolate and skim. And they have a “snack” cart in the cafeteria a couple days a week full of junk. So I have biegger fish to fry. Thanks for the comments. I wonder if focusing on the how of feeding at schools makes more sense. So instead of eliminating certain foods, maybe they can offer them less often or only on certain days. Cindy, what kind of foods are in the snack cart at your kid’s school? I’m in the process of interviewing school service managers and can chime in about that! The problem with chocolate milk is the milk. Dairy is not a healthful thing for any of us. 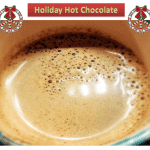 We get the benefit of the chocolate yum factor and how it’s good for mood by having chocolate soy milk. That way we get protein without the fat, plus more Omega 3’s AND nobody got hurt. It’s a win win. Hi Maryann! I just found your blog and I’m so happy I did! I am an RD as well, and a new mom! I’m not really sure how I feel about chocolate milk. But then again, my daughter is only 6 months old, so we’re not even close to there yet. I agree with you on schools focusing on the “how of feeding.” As another commenter mentioned… schools are serving a lot worse things than chocolate milk! Lower my hand for chocolate milk. Here’s why. If a child loves a drink because it is sweetened, he will gulp it down quickly. Then his tummy will be full and his brain will be signaled to slow down, or stop eating. This false sense of fullness causes school children to miss a window of opportunity to EAT nutrients. Often the nutrients (and sugar) in chocolate milk are the ONLY nutrients a child eats. They then spend the rest of their 20 minutes for lunch pushing their food around on their tray. Then they go to recess and head back to class feeling hungry because the milk lunch has emptied from their stomachs. I just ate lunch at my son’s kindergarten yesterday and at least half of the kids at his table guzzled their sweet drink (juice, choc. milk, capri sun, etc.) then nibbled and picked at their lunch. There aren’t enough adults on staff to remind young kids to take bites/slow down on drink. That being said, if you’ve taught your child to eat some food and sip their naturally/sugar sweetened drink and you know your child has the skill to both EAT and DRINK during a timed lunch, then you can serve what you like. I guess my take would be if you’re going to serve tasty beverages with a meal, you have to teach your child not to guzzle, or teach your child to eat despite the false sense of fullness. Another option would be to serve chocolate milk outside of meal times. 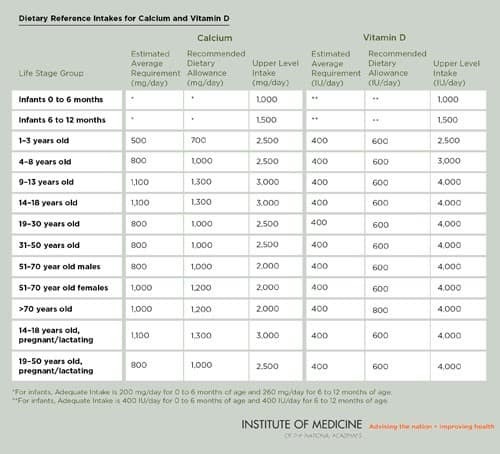 A better option would be to make sure your child got the calcium (s)he needed for alternative sources and skip the sugar in the milk altogether. My guess would be that only about 30% of kindergarteners know how to eat enough at lunch to prevent hunger during the second half of the school day. Good question! Thanks for all the comments. It’s good food for thought. Jenna, you bring up a good point. Children can fill up on sweetened beverages and milk. I follow Ellyn Satters advice and give my daugther water between meals and have her drink water-downed juice (AAP guidelins of no more than 4-6 oz per day) and milk (twice a day) with some meals. This way she learns to associate water with thirst quenching but gets something different with meals. It’s also better for kids’ teeth to have such drinks with their meals. I’ve never had a problem with my daughter filling up on milk with meals if she comes to the table hungry. But I’m not giving her chocolate milk or Capri Sun either. She’s also not in school yet. I know that’s a different ballgame! Not a chance. With obesity reaching epidemic proportions in our nations children, programming them to add sugar and chocolate to an ordinary food seems cruel. This “discussion” is being had by the food industry. Industrialized food is killing people. If it doesn’t grow, it’s not food. 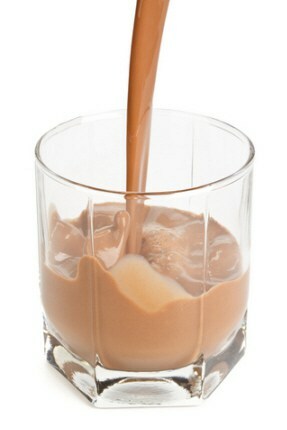 Chocolate milk is a dessert item, dessert is not at the end of every meal, or even every day. If you love your children, please feed them lovingly. maryann-my apologies, my comments must have made it sound as if I was suggesting your daughter was filling up on sweetened beverages during meal times. Not my intent! Just stating an observation I have made at many a school and playgroup lunches. Kids guzzle tasty drinks then nibble and pick at their food. I know this is an old post but I wanted to comment anyway. I recently took my 2 year old to the dentist for the very first time and the dentist told me he has tooth decay. I was stumped. My son will not drink anything other than milk or water. Until I realized that he drinks a lot of chocolate milk. The dentist pointed out that chocolate milk has just as much sugar as a can of Coke! I quickly reduced him down to only 1 glass a day and that’s only if he asks for it. I agree with Jenna, kids (and adults) are filling up on beverages and not eating the nutrients they really need. I also agree with Jenna that chocolate milk is a dessert item. I recently talked with a co-worker who was taking a health/nutrition class and she said she didn’t have a clue about most of the stuff we had learned from this class. No one had ever taught her about eating healthy and exercising. She knew that she should probably do those things but she didn’t realize how important they were. We need to teach kids what’s healthy and one of the best ways is by example.